The modern way to catch zzzs, Lukin will give your bedroom a stylish refresh. And part of our MADE Essentials collection, this king size bed set is affordable too. Crafted in India from 100% cotton, Lukin’s a quality piece. So durable, it’ll last wash after wash.
You’ll love the playful print on Lukin. 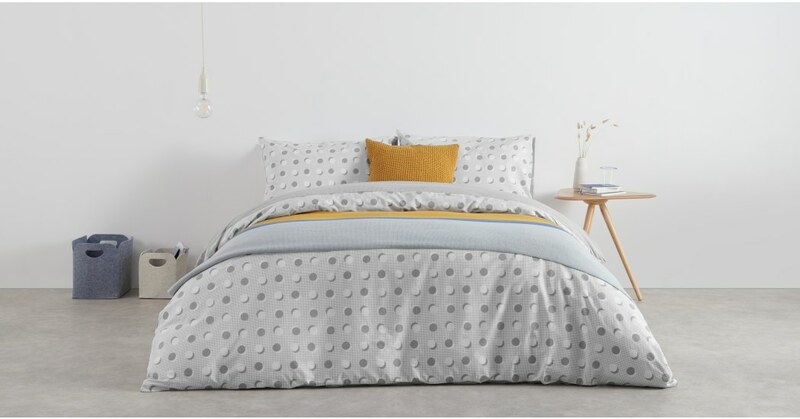 A contemporary take on geometric shapes, this bed set is reversible. You can put its dotted side on display, too.